After a long “winter” of disappointment, parents of estranged adults can start to feel closed off and cluttered. Just as you might with a house that needs a good spring cleaning, take action for yourself. Organize a more personal spring cleaning for emotions, well-being, and health. Clear the path for your forward momentum. 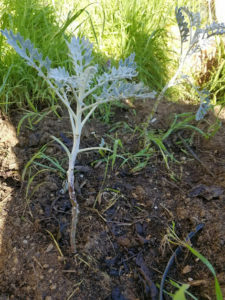 Pulling weeds in the pre-spring sunshine here in California the other day, I noticed the silvery crowns of several small dusty miller plants I had put in last fall. They peeked out above the thicket of grassy weeds. When I cleared the weeds away, the leafy clusters looked a little silly atop the spindly stems—but I marveled at their innate ability to thrive. They didn’t waste energy trying to grow leaves down among the thick weeds where no sunlight could reach. Seeing those plants made me consider where I might be wasting energy. Why expend energy where it can bear no fruit? What habits no longer serve me? Where and how can I better manage my time? Am I getting a good return on my investment of energy? As an example, let’s consider reaching out when adult children want no contact. Parents often continue to reach out to their estranged adult children from time to time. They intend to convey a message of love, and that they’re still interested in reconnecting—even though the adult children want no contact now. But when nothing comes of parents’ messages or gifts other than soaring hopes that are dashed by silence, or worse, verbal abuse, it’s time to make a change. Emotional spring cleaning intends to support your own well-being. Examine whether it’s wise to save your energy, cut back on times you reach out, or to stop entirely. Done With The Crying helps you set limits, yet still achieve the intended goal. Pause to make an honest assessment of what you spend time on, and examine whether it’s helping you. Spring is the perfect time. Take your list and make plans to change. For instance, to support yourself, you could stock up on healthy food choices, make a plan for better sleep habits, and throw out the catalogues. Does your thinking zap energy? An overstuffed closet could use a good spring cleaning. Your thinking might need a little organization too. Take a look at when the sad thoughts creep in. If your mind wanders back to dark places on holidays or special occasions, plan ahead to combat the thinking. Decide this year will be different. Make plans to busy yourself or try something new. Making new memories surrounding holidays or special events gives them new life. As a closet can benefit from shelves or hooks, the times you know you’ll feel down could also use some structure. Make plans for activities, hobbies, travel, or friends. Even small changes can provide structure for positive change. Try a new food every weekend. Eat a new vegetable each week, or cook one a new way. Make pizza with cauliflower crust, or tacos with lettuce wraps instead of tortillas. Or grow a vegetable, even in a pot. Radishes will grow in a shallow container on the windowsill. Listen to music that lifts your spirits, or go for a walk. What new support structures can you add to your life? One retired grandmother whose estranged children don’t want contact recently told me she’s making a habit of getting up, showered, and dressed by 8 a.m. She says she feels better if she’s up and ready, and often follows through on activities, commitments, and connections. “It sure beats lazing around in my pajamas full of self-pity,” she said. A father shared that he checks his calendar each evening, and makes plans. Things like call a friend, go to the gym, or research senior sports leagues in his town. As a result, he’s added structure that helps him look forward to the next day. He wakes up feeling more purposeful. Use the momentum of spring with its energy of renewal to sweep out and examine feelings that don’t serve you. For your own good, can you let emotions such as guilt, anger, and shame go? Let’s look at a couple of examples of how feelings can clutter up our lives. Do feelings of shame, or the possibility of being put on the spot keep you from social situations? In Done With The Crying there are examples to help you handle questions and steer others’ responses to your situation. Some of us are more social than others, but remaining isolated is not healthy for anyone. Step forward. Sprout a new attitude, and shed the shame as part of a spring clear out. Reassess and make adjustments. Tug out and cast aside mental and emotional blocks. Reclaim the confident pre-estrangement you. Better yet, embrace a new, more self-compassionate you. Don’t forget the physical side of spring cleaning. Are you holding onto actual things left behind by adult children who want no contact? Now might be a good time to free up extra space. Storing, donating, or disposing of unused items can be mentally and emotionally liberating. Try taking down a photograph that reminds you of pain, and see how you feel. There really is something to the old saying: out of sight, out of mind. You might also make a physical change for this new season of your life. I recently cut my hair, and imagined shedding negativity along with those overgrown locks. The easy style is representative of a fuss-free life—and goes along with my newly adopted motto, Lighten Up. I like that my motto can apply in several ways: weight, clutter, and mood. Will you join me? 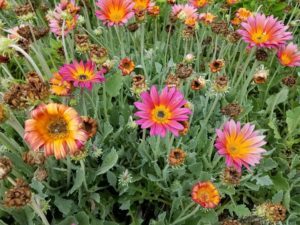 While we might feel a little spindly and awkward as we turn ourselves to a new light and grow, we can take a lesson from my dusty miller plants. 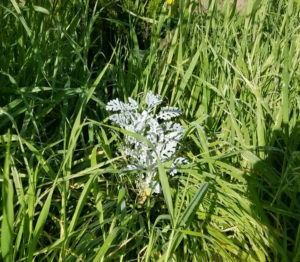 Once the weeds were cleared away, those bare-stemmed plants began to immediately adapt, filling in with foliage to soak in the sunlight. It’s spring. Spread your own foliage. Stretch toward the sunlight of people, things, and activities that make you happy. Expend your energy in ways that help you progress toward meaning and joy. 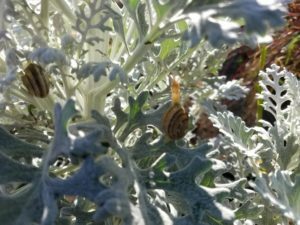 Keep watch, too, for old habits to creep in (like those snails in the picture!). Pluck them out before they can do damage. For inspiring stories of other parents who’ve moved beyond the emotional wreckage of estrangement, as well as more in-depth information about releasing negative feelings, thoughts, and behavior that are holding you back, get my book. Done With The Crying: Help and Healing for Mothers of Estranged Adult Children was recently named a finalist in the Indie Book of the Year Awards—which I hope will raise awareness about the growing problem of estranged adult children from loving families. You can help by clicking on the Facebook “like” and Google + buttons below. Copyright notice: All content of any post or page found on any page at this site (rejectedparents.net) is protected by United States and international copyright laws. 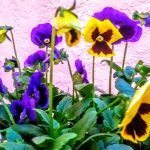 This entry was posted in Latest Posts, What Parents Can Do and tagged Mother's Day, parents of estranged adult children, rejected by adult child on March 22, 2017 by rparents. Hi there, another lonely and sad mothers day wondering what on earth has happened and how can I put it right. No contact from my 29 year old son since 2014. Even worse for my dear daughter aged 19 who is an absolute angel and has had to bear the pain of mother’s day alone with me and her grandmother who are equally hurting and no support from her brother. Even though I try to hide my feelings and disappointment, they try to hide theirs too but it is a grim situation. I am trying to rejoin the forum on this English Mother’s Day but my password contains an hash tag and my computer won’t work it. Can you help please? Hi I have a daughter who going to be 28 years old this April 2, 2017. I have found myself in tears every Birthday , since Oct, 2014 she took me out of her life. Since I bought this amazing book, Done With The Crying, I see myself being able to look at life different. I know I will have my ups and downs. My heart feels better to know I’m not crazy and I’m not alone. My heart goes out to the Mothers and the Fathers that are feeling a deep loss. I take one day a time and I’m letting go of my daughter each day. Trying everyday to find the positive and be happy in the world, it not easy, but I take one day a time. This year my goal for my daughter’s Birthday, I’m not calling her or sending a card that will be sent back. I’m going to spend the day doing something fun, not sure yet want I’m going to do. I going to spend it with the people that love me. Mother’s day doing something with my other kids and my mother. I don’t want to be waiting for my daughter to come back into my life. Thank you so much for writing this book. I thought I was doing OK until someone forwarded the FB photos of my former daughter, son in law and my beloved granddaughter (taken from me last fall) on a holiday in Rome with the inlaws…it tears my heart out that I was not invited, would never be welcome, but the other grandparents are worshipped…my former daughter found the mother she preferred in that other woman…I will never understand it, I devoted my entire life to her…money time love and on and on. Only to have the door slammed in my face when she met her new and preferred family…. My 23 year old son left the country without telling me. We have been estranged for 3 months, after an explosive argument involving verbal abuse. His wife used an ethnic slur while she cursed me out. A match made in heaven. I told him he could not come back to my home until he got therapy. That I would pay, go with him, whatever he needed. Since then, I am “dead to him.” He also verbally abuses his sister, and manipulates his brothers. I think now he feels so hurt and rejected. He’s experienced a lot of social rejection all his life due to his whacky and hyper/impulsive behavior. Now his mother is doing it. He lies so much I don’t think he knows what truth is. This is ongoing since I divorced his father when he was 12. He’s been difficult since age 18 mos. He was diagnosed with ADHD, ODD, LD but I think it’s more profound, that there is some organic mental illness. No one in my family believes me. about the mental illness. They prefer to blame him for his outbursts, and me for weak parenting. Occasionally my family points to his father, who is a case unto himself. My son has no grasp of the impact of his behavior on others. He jumps from job to job, apartment then back to his father. It’s crazy, and I hate saying this, but the estrangement and now his relocation are in some ways a relief. And other ways its killing me. I think this must be some sort of mental illness. I do feel crazy half the time. I already had PTSD and depression for forty years when the estrangement happened. I am stunned by the amount of anger I feel toward my daughter. She had the childhood I never had, two parents who loved her and did everything in our power to make her happy. I had abusive, uncaring parents who neglected me. Despite my depression I did everything I could to be a good mother to her, but apparently that was not enough. After she has watched me suffer for so long, I simply do not understand how she can add to that suffering. Her father and her sister cannot get through to her, she does not want anything to do with me ever again. Now I know how badly she is prepared to treat me, I don’t want her back in my life either. That doesn’t mend the ongoing pain that had me suicidal for the first two years. I have finally managed to calm down slightly but even the mention of her name can make me feel furious. This is a cruel thing to go through, I cannot imagine why anyone would ever do it to another person. My parent’s were vile, but I would never do this to them. Sounds like my now 28 year old. She lives in XXXX about 13 hours drive from where I live. Her half brother took his life January 2015. May 2016 she wanted out – as she said she could not cope with my sadness. I had asked her that May to support her brother who was now living with me post brother’s suicide. She was not able to do that. She said she would email and send photos now and again. Come December I asked her by email if she could expand on the email of May for my psychologist. She said no chance of reconciliation. To tell psychologist that she felt we never had a ‘great relationship’ and that it took a tragedy to point out to her that it as never going to change. The ‘tragedy’ was my 46 year old son who left 3 adult children and a grandson. I have suffered bad blood pressure that has raised it’s head since she said over in December – plus she visited her father and grandmother an hour away for Xmas and her birthday ( unbeknowns to me). Trying to gt BP under control so that I can visit her sister and my 2 grandies in XXXX in 2 months – just the mention of her name puts the BP and pulse up. Yes – they are so selfish…..one wonders how we produced such people. So I am reaching out because I am tired of spending my drive to and from work almost every day with tears running and wondering if I will ever “do the right thing” and be part of my sons life again. It has been about 2 years from the initial fall out and another year plus since everything came to an ugly head and harsh words were exchanged, certainly putting a halt on any communication at all. I am hoping that being able to put this in words on a concrete place will provide some kind of self therapy. It’s either that or actually see a professional. It’s comforting to know others are out there struggling thru a similar existence. I am looking for peace and direction. I am so sorry for your pain. I get off work and start sobbing in the car. Other days I sob uncontrollably before I go to bed. It’s been 3 years since my 23 year old daughter said she was ‘done with me’. I would have never thought this would have happened. I sent my last text telling her I was here if she ever wanted to chat. That I didn’t want to dwell on the past and only go forward and, that I loved her dearly. No reply. I can’t keep waiting and hoping for some contact from her. I pray for her and if she is happy without me in her life, then I need to accept that. I am also grateful that my son does want me in his life and loves me. The pain will never go away but, we must press onward. I’m so sorry for your pain and I hope you can find some happiness and few dark days. Your drive to work sounds like mine. My goal is to go more than an hour without thinking of my daughter. I just keep lots of Kleenex nearby, and I thank God for Sheri McGregor, people like you, and my wonderful husband who listens–yet again–to a story of how I feel and what happened today to make me break down. Sheri, I loved this post! I am not in a position of any reconciliation, and although, for the most part, my son’s departure from our lives has settled in as our norm, there will most assuredly be days or moments, like today, my son’s birthday, that i am honest in saying that it did not even register until I wrote the date on a receipt this morning. A year ago, I was crying on this day. Not today. But just knew it was best to keep busy when I came home. My Garden is my baby. It is small, but vibrant. We love arranging pots like decorating a room. A little more yellow over there, yes, that pink was the perfect touch. We live subtropical, and it is a gamble beyond succulents, what flowers will make it to the next year. But a few weeks ago, we started weeding out. It was a little painful to accept that some of our prized flowers had seen their day. And so the decision that they would keep giving as compost. And then those that we took a chance on cutting back, and let’s see what happens. My famed firecracker plant that began as a three inch baby, had grown into a red monster, encroaching on everything. We decided that by giving him a haircut that it would give more nutrients to his friends. And so. My Son. My Daughter. And my Husband and I. What needed weeding entirely out. What can just be cut back and give nutrition to new life. Or, do we need to have variety we’ve not experienced. I have pictures of all my gardens, pictures of my children’s lives with me. They are beautiful memories. All experiences, wonderful and sad, that keep shaping me. Ugh…snails!! Tip: throw copper pennies in your garden, or you can buy copper tape to put at bottoms of pots or around garden edge. Hello, my daughter is now 28 years old. We have always had a contentious relationship – she has always been a difficult child. In 2013 she miraculously appeared at my bedside while I battled cancer. After I was well again, she was gone. She will have no relationship with me, her sister, father, grandmother. All for reasons unknown. Oddly, she seems to have re- written her childhood when in fact we spoiled her. I go between anger, deep pain and loss, apologizing over and over (for what I don’t know) to now realizing I have done my part. I CANNOT live like this anymore. I feel she is keeping me hostage. Sure I have made many mistakes, but nothing to warrant this. I truly need to find a way to move on in my life. Thanks for listening. Very similar story to yours. Can’t find the will to do things I need to do. Dibilitating sadness. I’ve got to put my grandsons toys away…just cant. In 2014 my then 16 year old son committed 9 felonies- all were Malicious Injury to Property. He and three others were each ordered to pay $80,000 in restitution. I can try saying I had no warnings that he would do something so horrible, but now that I look back… I can see the signs. A few examples: He wanted to be a Navy SEAL so he could “kill bad guys without getting in trouble” for killing. This was when he was 12 years old. He has always performed poorly in school, saying how much he hated the class, the teacher, etc. He did everything he could to break up his father’s third marriage. He was abusive and manipulative to the stepmom. After my husband and I found out about the crime spree in 2014, we banned my son from coming over to our apartment. (I had visitation with him every other weekend, so he would spend Saturday nights at our home). I was so angry about the crimes he committed that I donated some of his belongings, and threw away the rest. He was 16 years old, old enough to know right from wrong. I did not teach him to be a bad person, to be someone that got off on destruction. I asked him why did he do it. You know what he told me? “It gave me a thrill.” There is no helping him, I gave birth to a monster. Soon after this, and after he said horrible things to me because of the ban, I began to fear him. I visited with him only a handful of times and never alone. I had to have my husband with me. So about five months after the crime, my husband and I moved to another state. I told my son and his father that I didn’t feel that I was doing any good, and that we wanted to move. After that I still beat myself up for not seeing the signs, and the fact is I lied to myself. I was in denial about my son being a good person, even though he obviously isn’t. And I never really knew who he was, he was always so secretive and dishonest. About everything. And cruel, very, very cruel. Am I better off for not having him in my life now? I feel safer, much safer. But there are those times when I remember how sweet he looked as a baby, how much I loved and believed in him, and my heart literally feels like it is being ripped from my chest. And I am so sorry about what he did. The damage he caused. He destroyed people’s JOBS. And I hate him for that. I wanted to reply and say to you I understand being afraid of your grown child. My son was diagnosed as ADHD as a child but then years later told he is bi-polar. So many, many years of doctors and doing Everything I knew to do to help him. Yes, he has been in trouble in school, at home, at his jobs, and has been incarcerated for his anger. We are estranged now. I lived for so many years trying so hard to help him…but also feeling guilty that in some way this must be my fault. The feelings of not being able to help your child is devastating. There is a bit of wisdom I think about everyday. It is that you cannot help someone who does not want to help themself. I am better now not having him in my life. It took many years to be able to say this. I believe, from a christian view, that the bible told us we would see children turn on their parents and also parents turn on their children. I believe we are seeing this and it is so hard to live in these last days. I have strong faith that our time here on earth is but a vapor compared to eternity spent with God. I hold onto this truth everyday. my daughter and grandchildren…all with no acknowledgement or thanks. In fact, when I took my daughter’s birthday gift to leave at her door because I thought she was not home, she ranted and raved that all I thought about was myself and told me I was not welcome there. It is amazing how cruel one person can be. I did everything I knew to make her life better. I am a teacher and a professional, not an abuser or no account low life person. i raised my children in love and did everything for them, but when I divorced their father, they cut me off totally to punish me. This was 4 years ago. I have not remarried, however, their father did two years ago. He is the star and I am the goat to two of my children. My third child sees it as it was and is, and I take comfort in that. It is very sad yet interesting, that I get along better with their father than with the two oldest children. They call me a destroyer. I have ordered your book and look forward to it. Thank you for this safe space. I do not feel safe to share my experiences with friends because they cannot comprehend such cruelty from my kids (and they know them and know that I was devoted to them, however, I feel they think something is bad wrong with me that they could act this way.) I appreciate the insights and suggestions you have shared. I am still learning – that is for sure. I’m so very sorry you have had to face such cruelty and injustice. Sharing your thoughts here will help another parent to know they’re not alone, so I’m thankful you have posted. This IS a safe zone! Please take care of yourself. I truly hope you will find my book useful. I am in a very similar situation as yours but it’s now 10 years! I remain close to one child, my middle son, & his wife, but my eldest son & youngest daughter (29 today) are basically out of my life. During my divorce their father maligned me with lies and also, to my own family. I’ve sent cards & gifts for years sometimes when they were at an extended family gathering when they basically ignored me. Last year I stopped buying them cards or gifts, a hard choice. Today, I reluctantly called my daughter (self guilt) to leave a short Birthday voicemail. I knew she wouldn’t answer the phone. I think this is the last time. As my son says, no matter what I do it’s wrong. I’m at the point I don’t expect anything anymore from them. My estranged son is expecting their second child, never called me nor responded to a congratulatory email I sent. Yes, this is a terrible time for me with another child’s birthday in 4 days, Easter, a grandchild due in 4 weeks and Mothers Day. I am a non-Grandma so I never talk about them nor want to be around other grandmas gushing about their cuties. I was not invited to the baby shower, first Christening, or first birthday. First saw my grandson at a Panera for an hour. I don’t invite them nor apologize anymore. I know I have to let it go but some family event comes up where they show up & I’m treated as a fly on the wall. If I don’t attend something they’ll be at because I can’t handle the shame & humiliation of being ignored, my own family degrades me. I have given up hope because I know it is not up to me anymore. There is nothing else I can do. I returned my grandson’s Christmas gifts this year, a terrible day. I am hoping to try harder to put this behind me since I have NO expectations of their changing. It’s not up to me. It is their loss & they will regret it someday, probably when it is too late. At least I take care of myself, no bad behaviors, have a husband of 9 years who loves me but it’s still hard to keep the sadness which creeps into my life. Thank you for your advice, I appreciate it so much. I am learning a lot about myself every single day amid my grief. I understand I cannot help him, I get that. What I cannot get past is the betrayal. You teach your child right from wrong, yet they repeatedly choose the wrong. I am so sorry about your son. I am glad you have your faith, that is so vital to surviving. And hopefully some thriving, as well. P.S. Thank you to the administrator/moderator of this website for not publishing my last name. While I was filling out the name and email portion I was not thinking clearly, then after I clicked ‘Post Comment’ and I saw my full name, I instantly regretted my post. Now I don’t, so thanks again. You’re welcome, Melissa. I make a habit of deleting last names or going with initial only. Thank you for participating here. I look forward to your next article on innocent guilt as this must be a very common emotion for most estranged parents, I have suffered this for the past 15 years and you can even feel guilty for feeling guilty. From my own experience with estrangement, it is very painful. Our daughter who is now 41, has accused my husband, myself and her brother of doing things we have not done, over the years the accusations have become more bizarre and hurtful. You cannot help but try to make sense of why she thinks the way she does. She will only contact me if she requires money and says things like, if I had loving parents I would have a career now and would not have to ask for money. We were ordinary hard working parents who would do anything to help both of our children. Unfortunately, there is a history of mental illness in mine and my husband’s family and our son tragically took his own life in hospital after a diagnosis of schizophrenia, he was a beautiful person and very thoughtful. We know our daughter also has a mental illness but refuses to accept this and is a loggerheads with her doctor. I wonder whether estrangement is more common in people with mental illness. I am not very good at writing down my thoughts and experiences, I do hope you can understand the situation we find ourselves in, from what I have written. You expressed your situation well, and I know that many will relate to your experiences. I’m sure sorry you’ve had to face estrangement and the manipulative behavior you describe–and about your son. Please take care of yourself. I appreciate your comments here very much. Dear Pam, I just want to say I understand and empatize with the pain of having children who have mental illness. My son and daughter both show all the signs of bi-polar disease. It is in my family and now they have this. I am now estranged from them. They are both in their early 40’s. I like you am accused of things that are not true. I believe life is very hard for them. In some way I think they blame me for all that is wrong in their life. I have gone through so many days of guilt. I don’t have so many now. I know I was a good Mom despite this estrangement. It has taken much time for me to come to this place. I am so sorry about your son. I have this worry of suicide with mine too. Take good care of yourself Pam. Your message and comments meant very much to me. I am so sorry you have experienced ten years of estrangement with your two children. It helps to know that you and others experience the same feelings at holidays and special occasions. It is so amazing that such cruelty can come from those we love the most and to those we have devoted our lives. Being purposely left out from special events in the lives of the grandchildren including birthdays, Christenings, school grandparent day programs, sporting events, Christmas programs…(.the list could continue on and on) is one of the most hurtful things. 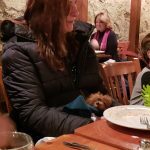 It is so surreal to imagine how you felt seeing your grandchild for the first time in a restaurant – amazing stuff. You are a strong and brave lady and I admire you for moving on in your life and finding happiness with your husband. Like you, I am not sure if I will see a change in my children and after the latest rejection, I will no longer send cards or gifts. I have gotten through 3 of 4 spring birthdays and will hopefully get through Easter today. On Mother’s Day, I will see the one son who wants to be a part of my life and I’m not sure if I can attend a graduation in May. I know I cannot attend the graduation party with my son’s and daughter’s hateful attitudes toward me. I will not put myself through that again. (Most likely I will not be invited). Thank you so much for your kind words and for sharing your thoughts. You are in my prayers today and in the days ahead. Thank you Sheri for your gift of safety and care. Dear Lynne, thank you for your understanding response, you are right, I also feel that as life is so hard for them due to mental illness, they look for something or someone to blame. I have always tried to stay strong for this reason, thinking she doesn’t realise the emotional pain she causes by her accusations. I am now 65 & there is no light at the end of the tunnel, I have exhausted all avenues to try and improve the relationship and my energy levels are so low, I have been advised to block her telephone calls, after some time I have taken their advice, but here comes the guilty feeling, even though I know if she was able to phone me, she would be verbally abusive and ask for more money. I have always had a good relationship with my mum who is now 94 and it all feels so alien. Thank you again from UK mom. I am new to this site, but Sheri McGregor has been my SAVIOR since I bought her book. I want to thank her and all of you for providing a support system that makes me feel less alone in this private hell I am living. I see my own circumstance in parts of each post here. My 37-year-old daughter wrote me a 13-page document which included annotations, footnotes, and dozens of bulleted items to support her reasons for cutting off our relationship. This was 2 years, 1 month, and 13 days ago (yes, I’m counting). The first 6 pages were about my sins committed as a mother when she was under 20, and the last pages were dedicated to my sins as a mother and grandmother in the last 17 years. Holding a Masters in psychology, my daughter has diagnosed me as a borderline mother. I hold a PhD in information technology, so I’d never encountered this term before. I have been seeing a therapist since the breakup and have been told that I do not exhibit ANY of the traits of a borderline mother. This gives me some comfort, but I am still without my daughter and her two children who I adored–ADORED! I continue my therapy. I am well-liked at work (professor at a private Lutheran university). I have a great second marriage to a man my children used to love as well. I know I was not a perfect parent, but I raised my three children alone, and I did my best–didn’t we all? My question: I keep hope, like Sheri McGregor’s dove, on my shoulder. I hope my daughter will come to her senses one day. But what will I say on that day? What will I do? The hurt goes so deep. “Fool me once, shame on you; Fool me twice, shame on me.” Of course I have forgiven my daughter and my two sons, but I cannot forget–I don’t WANT to forget. Forgetting would mean shedding the protective armor that will help me survive similar onslaughts. Again, my sincere thanks to all of YOU and Sheri McGregor for BEING THERE, being the great mothers/fathers you are, and for helping folks like me to get through this most horrific thing that is my life. Thank you for sharing April MC. Like your daughter, mine has taken the role of judge, jury and executioner and keeps a record of my perceived sins in her mind. (The thirteen page document you described was staggering, I know, and I am so sorry for you). My main sin in my daughter’s eyes was divorcing her father four years ago. He has since remarried two years ago and I have not. He used her and her brothers as his counselors during the divorce and two of them sided with him. ( I am also estranged from her older brother, but am allowed to see his children). I am lambasted as being selfish for trying to save myself financially from my ex yet I received nothing from him, nor did I seek it. (My daughter is 40 and has two children). The latest attack was when I took a birthday gift for her to her home and I was told I was not welcome there and to leave. Until last month, she had allowed me to see my grandchildren, but she has totally cut me off and like you, I adore my grandchildren. Now she claims that I abused her emotionally when she was growing up. What I remember is lovingly catering to her and attending every school activity in which she participated, helping her through college and hosting a beautiful wedding. We were very close. As a parent, one does correct his or her children – I guess that is emotional abuse? I tried once again on Easter to reach out to her with an Easter card and cards for the children. She sent me a text and left a voice mail the day before Easter that said “F*** you, Mother. Congratulations, you have succeeded again in ruining another special day for me.” Do I reach out again? I think not – I got the message by text and voice mail loud and clear. I am quite devastated and Sheri’s book has helped me come to grips with many things. I thank God for His comfort and I will keep you and everyone else facing similar issues in my prayers. I also received a “document” like the one you describe. One from my son and one from his wife. I was told in no uncertain terms that I could no longer be a part of their lives. The reasons were ridiculous and made no sense to me or anyone else who read their letters. Example – My daughter-in-law overheard me say something about her when I was there helping out after she had her first baby. Apparently I said “I don’t know what Rachel wants.” I guess it didn’t matter that I took my vacation time to stay with them, cook, clean and let her rest after giving birth. Silly me! She barely let me hold my grandson. My son also diagnosed me as having a mental disorder. 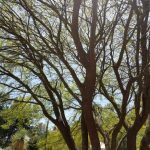 I am a nurse who has worked with behavioral health providers. They tell me I am normal. So has everyone else who knows me. I have wonderful friends and a loving sister who is very supportive. They cut my sister off too because she wrote and asked them to reconcile! I was the best mother I knew how to be – Home room mother, Cub Scout den mother, recitals, science fairs, concerts, plays, band competition and sporting events – I did them all! I too hope my son comes to his senses one day. I just started reading Sheri’s book. But the problem is I keep crying when I read it. I cannot get past the first few pages. But I am determined to stop crying. I am grateful to be able to talk about it openly on this site. I wish everyone all the best in this journey we didn’t expect to take. and the comments from other parents suffering this unimaginable pain . Even though she is a difficult petson I love and miss her so much. She has not replied to my texts. She told a mutual friend that she is done with us. I will keep coming back here. I appreciate this safe place to visit. It looks like my son is cutting me out of his life again after opening up during the pregnancy and birth of his first child. I’m 66, and this is my first grandchild, so it certainly compounds the pain of his rejection (the first anguished episode lasting about 3 years) again. I find its easier this time, thank goodness. I have experienced the deep grief and anger expressed by so many, and I’m so sorry for all that are still hurting. I’ve pretty much cut off my feelings to survive which I would rather not do, but I don’t see any other alternative. I will probably be cutting him out of my will and throwing out the boxes stored in our garage. Our last falling out was about my sending him two small packages to his new (tiny, but slightly bigger than his old one) Manhattan apartment two weeks after he, wife and baby moved in. I was being “pushy” as he says I always am, and stop spending money on gifts they didn’t want, etc. I said the proper response would be to say ‘thanks’ and regift it, but he’s done with me again. Fine. Why should I store boxes of his high school stuff as he will never want it since he can’t manage two small packages? We lugged them across the state when we moved, and have stored them in 2 different houses. I’m gonna wash that boy right out of my hair, give his inheritance to my other loving son or my grandson, and say goodbye. Does this hurt? You betcha. Would I ever have thought that I could or would do this? Never. But you can only cry for so long. Thanks to all for sharing your experience which are so like mine. I’ve concluded the only thing we did wrong as parents was to love and give our kids so much that they turned out to be entitled selfish human beings. Maybe they’ll mature, but I’m not counting on it. Don’t blame yourselves. Its on them, not you. I am seriously thinking of taking a hammer to all of my son’s pictures in frames and putting the loose ones in a pile and burning them into ash. Also my treacherous daughter in law is part of this bizarre and devastating estrangement. Those wedding photos need to go as well. My will has been changed as well as he is disinherited. I am emotionally and physically exhausted. This is worse than the death of a loved one. I am so glad I found this site and it was accidental, or maybe there are no accidents. I have warred with myself over the last twenty years and dealt unsuccessfully with the guilt of having days where I was happy and I forgot to think about my kids. My daughters were alienated from me by their father twenty years ago. They’ve lived over half their lives without me. The pain is unbearable at times. Reading through some of the articles have already shown me it is okay to move on and have happy days. I have purchased the book and I look forward to reading more of the posts here. Thank you. I just began reading “Done with Crying” and am so grateful it exists. I have found the silence to be deafening….. and words fall short in explaining the pain and sorrow and the ripple effect that trickles through a family is tragic. I need to find a way to accept my daughter’s choice… let go.. and move forward and reboot my life. I deserve to be happy and I have been anything but happy with her choice. Love and light to all of us who need to find a way to come to terms with an estranged adult child. Never EVER did I think I would find myself traveling down this path. It’s been 15 years since my daughter walked away after I had an ugly divorce from her step-father. She showed up briefly after about 3 years, because she had no where else to go. She joked that my house was her climate controlled storage unit. She got back on her feet after about a year and left again. Never to return. I had a strained relationship with my son (her half-brother) after the divorce until he turned 18 and moved in with her. I assume the conditions were that he not tell me where she was. So he cut all contact as well. The gut wrenching pain of watching other people enjoy their grandchildren sends me to the depths of depression. (I have 2 I’ve never met) I have literally had to leave in the middle of a dinner out with friends because I couldn’t take the pain of hearing about their grandkids any longer. I have resigned myself to the fact that I will probably never hear from them again. And some days, I don’t want to. The thought of being an emotional hostage– walking on egg shells in fear of them leaving again, does not sound like the happy reunion I fantasized about for so long. This child was loved by so many. She cut ties with the entire family. My parents, grandparents aunts & uncles. But she still has a relationship with her stepfather. days I want to hold her and make whatever pain she is carrying go away. I too have racked my brain for reasons– and although I can come up with countless “mistakes” I made as a mother, nothing that warrants this kind of treatment. I am broken hearted and although it has helped to know I’m not the only one in this situation it doesn’t stop the pain. It’s always there, like an unwelcome guest.